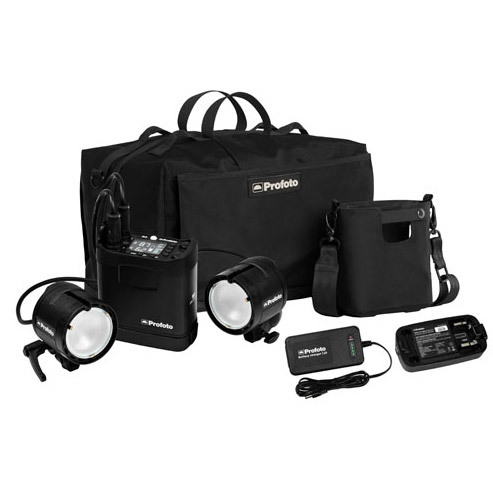 Everything you need to overcome almost any lighting challenge you might face on location. 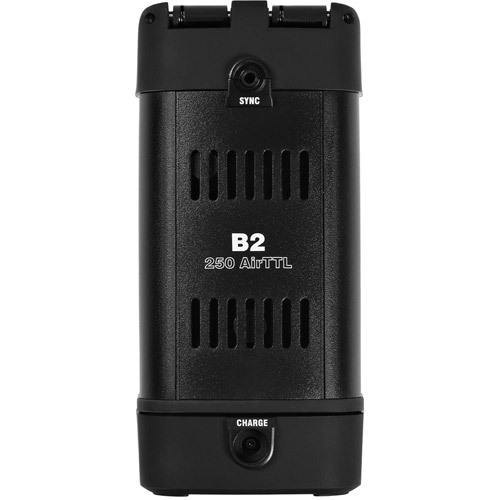 The kit includes a B2 battery pack and two B2 flash heads. Connect one head and keep moving. Or connect both heads and explore the B2’s full potential. There are two batteries and a battery charger. 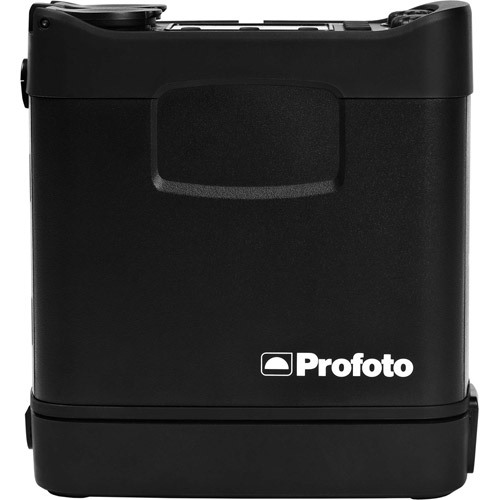 Use one battery while charging the other and keep shooting indefinitely! Also included is a handy carrying bag, allowing you put the B2 on your belt, shoulder or stand. An optional Extension Cord is available, allowing you to move the head up to 3 meters away from the battery pack. (Sold separately.) The gear comes packed in a custom shoulder bag, packed with more possibilities than you will ever be able to fully exhaust. Fast, powerful and easy to use battery pack. 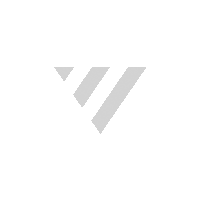 Compact and lightweight enough to be carried on your belt or shoulder. 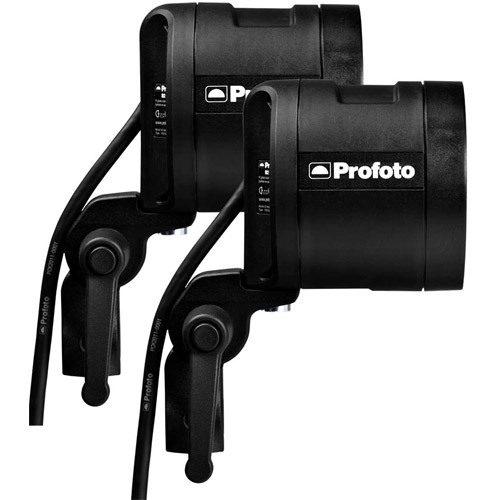 Small and light enough to put on a stand, a monopod or even on a bracket on your camera. 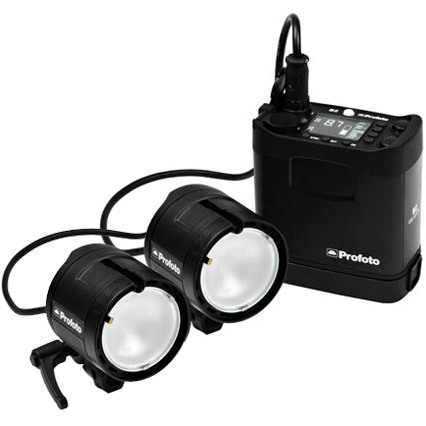 This powerful and exchangeable battery provides 215-50,000 flashes in a single charge depending on flash output. A handy little bag that houses the B2 battery pack. Carry it on your belt, shoulder or hang it on a stand with the stand strap. High-quality, custom bag with adjustable compartments. Fits the entire kit plus more. Stands and umbrellas can be attached outside the bag with the clever strap system provided. Recharges the Li-Ion Battery in one hour. 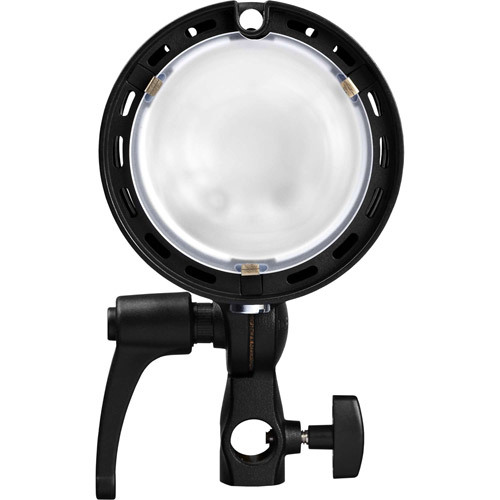 Yes, built in AirTTL supporting wireless sync, control and TTL.